Digital agriculture, combining multiple data sources with advanced crop and environmental analyses to provide support for on-farm decision making, continues to change and advance our industry. Data and digital technologies can provide insights and opportunities to improve crop management by responding to each season’s unique conditions. 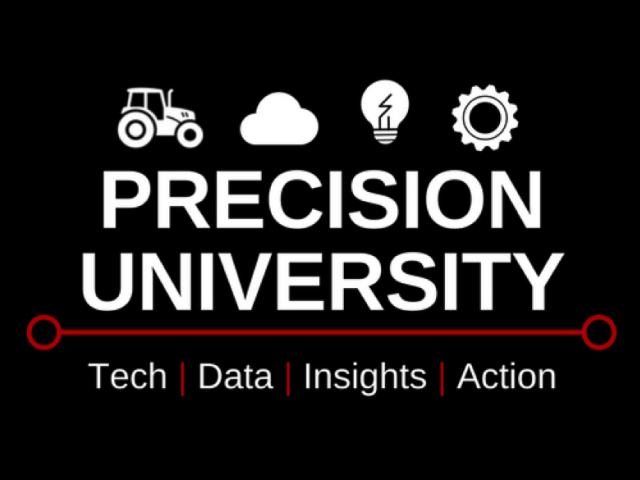 Next month, The Ohio State University Extension and the Digital Ag team at OSU are hosting “Precision University: In-Season Decisions” to help you understand the opportunities and challenges of using data and tools to help make crop management decisions throughout the season. The program will be held on January 9that Beck’s Hybrid’s, 720 U.S. 40 in London, Ohio. University and industry experts will share information on the latest tools and technologies to help you make better decisions during the growing season. The event will also feature afternoon breakout sessions on using aerial imagery for decision making and the latest advancements in sprayer nozzle technology. Presentations at Precision University begin at 8:30 a.m. with the program concluding at 3:30 p.m. The event will also feature vendors on site to share the tools and services they offer. CCA CEUs will be offered. The cost to register for Precision University is $50 and includes the program, handouts, lunch and refreshments. For more information or to register, visit http://go.osu.edu/PrecisionU. The deadline to register is January 2.